There is a fire burning in this place, but no flickering flames are visible to the naked eye. Still, no one at Crabtree Memorial Gymnasium can deny the passion for pickleball ablaze in Rena Grant. They feel the heat on and off the court. Grant is a 91-year-old great-grandmother who can battle the best and win. 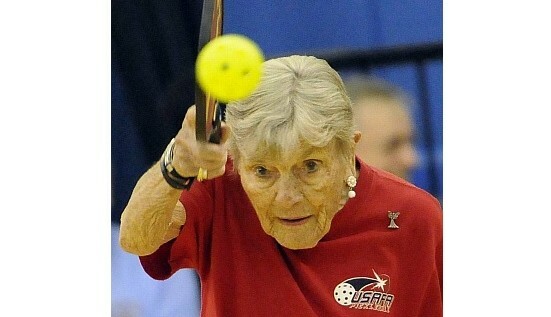 She has pickleball power. Just check out her forehand and backhand. Yep, she’s bad.